In Orlando, Florida, there are many moving companies. Many things should be considered though when you are choosing Orlando movers to move your possessions. Affordability and quickness of the job are two important factors that need to be considered as well as the qualifications of the particular moving company. The company that you are looking for is Top Notch Movers. 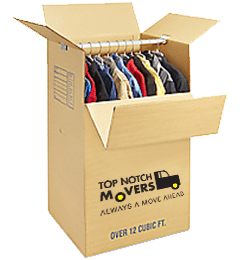 Top Notch Movers is a full-service moving company including the packing and moving of all of your personal possessions. We can come to your home, pack up your belongings, and move them to any desired location of your choosing, guaranteed! As a moving company in Orlando, we recommend that you make a checklist of all of your possessions that need to be moved before doing anything. When the time for you to call the Orlando movers comes, you should be able to provide them with the list so the company knows the items that you need moving. This checklist will help both you and the movers by allowing them to give you a good estimate and be able to approximate how much the job will cost. Some moving companies out there are not willing to give people an estimate over the phone; you should beware of these companies. These types of companies will tell you that they need to start the job before they can give you a price, leaving you vulnerable to being blindsided. The moving company that you choose should be able to give you an estimate over the phone. Top Notch Movers can give you an estimate before we start doing anything. Top Notch Movers will provide you with a free estimate over the phone. After you receive that estimate, we will send you an employee to give you an accurate written quote. Qualified Orlando movers should not have a problem doing any of this. Some companies will try to push additional fees on top of their work. These fees can include labor, service, and boxing. Be cautious when dealing with moving companies and always ask for a written quote before the movers begin working. Make sure that when you are choosing movers in Orlando, that the moving company is both licensed and insured. This is crucial because if something were to happen to any of your possessions during the move, the moving company might not compensate you for the damages. Suing them would be pointless because the amount in legal fees would surpass the amount in damages. A licensed and insured moving company like Top Notch Movers is the way to go because if anything happens to any of your possessions, you know that you will be reimbursed. 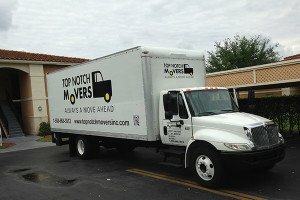 Top Notch Movers is a professional and experienced moving company in Orlando, and we have your back. As Orlando movers, we love offering our clients exceptional customer service that is unparalleled by other moving companies. Our ultimate goal is customer satisfaction and if you are not satisfied, neither are we. Call us today for a free estimate and quote! Top Notch was great to work with from the start. Andriy was professional, courteous, and knowledgeable throughout the quote and reservation process. On the day of my move, Miguel and his team (Antonio and Josh) arrived a little early and got to work right away. The team worked together very well and were extremely pleasant throughout the day. They took great care in handling all of our furniture and boxes as if they were their own. Miguel went out of his way to make our move easy. On top of that, the rate was extremely reasonable. I definitely plan to recommend Top Notch to all my friends!